Over the summer Morgan attended a fantastic camp at Dynamite Agility Center in Rockville training to become the next American Ninja Warrior :) During drop offs and pick ups I had passed by this unassuming Thai restaurant several times and then decided I needed to check it out. 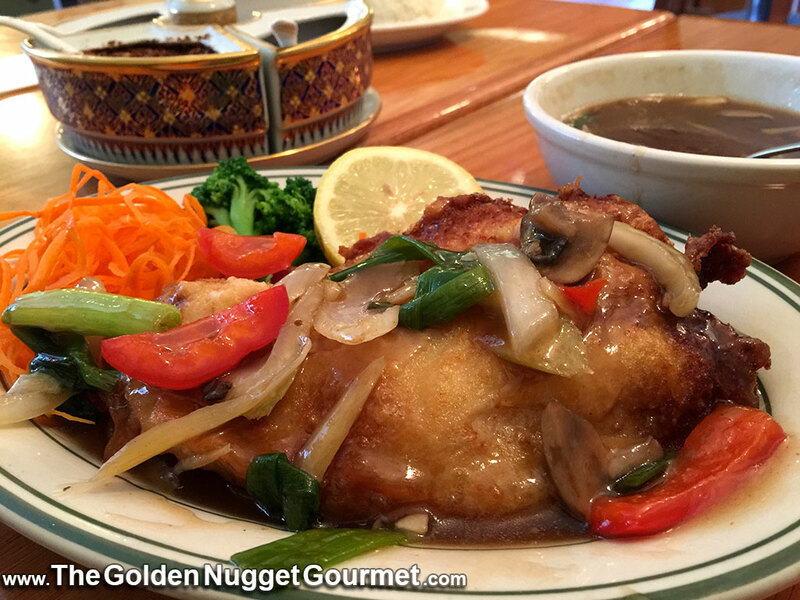 Having lived in Lowell, MA for several years I am accustomed to amazing authentic Southeast Asian restaurants and I'm always on the hunt for similar mom-and-pop shops in the DMV area. Well, after my first experience at Amina's I was hooked! Something important to note and that makes this place a Golden Nugget is that it claims to be the only Halal Thai restaurant in the DMV area. While ordering, the owner Amina overheard me tell the waiter that I like everything extra spicy. She graciously came over with these spices and suggested that I try them and explained what goes with what and that the roasted chiles are homemade, not store-bought. 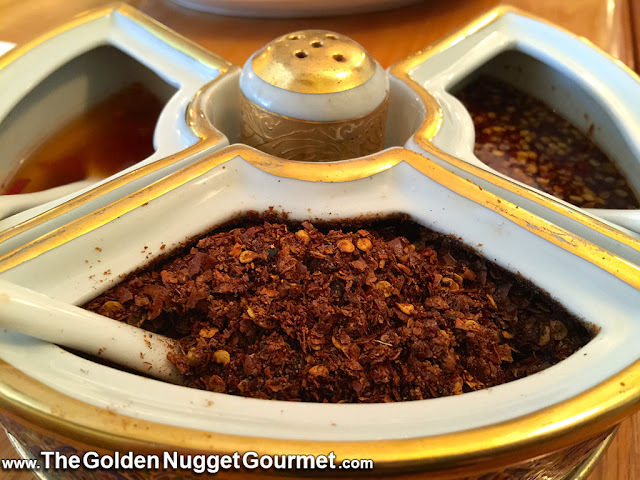 If you like spicy, I highly recommend that you ask for the spice tray. 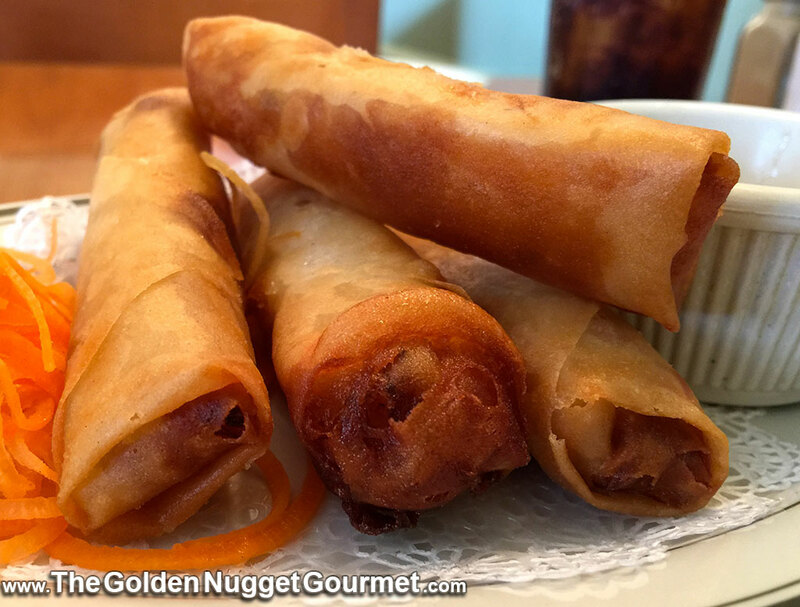 The vegetarian spring rolls were extra-crispy and piping hot (temperature wise), just how I like them. 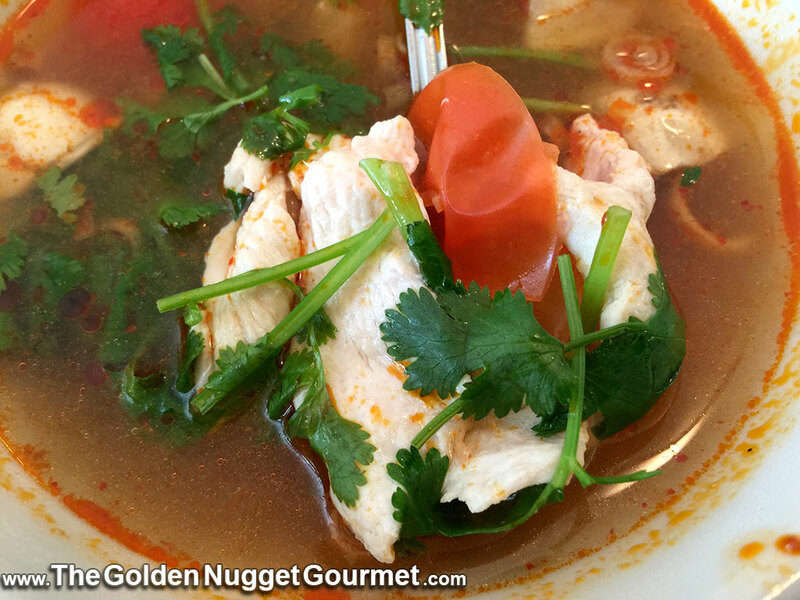 Tom Yum Soup With Chicken (Chicken or tofu with mushrooms, tomatoes in hot and sour spicy lemon grass broth). Medium Spice. 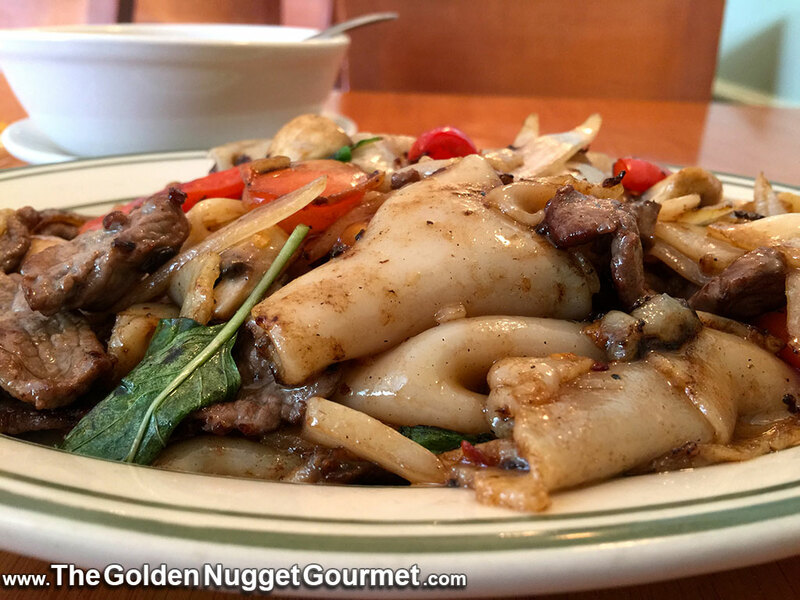 Pad Kee Mao With Beef (Wide rice noodles, stir-fried garlic, chili, onions, tomatoes, mushrooms, bell peppers and basil leaves. Medium Spice. 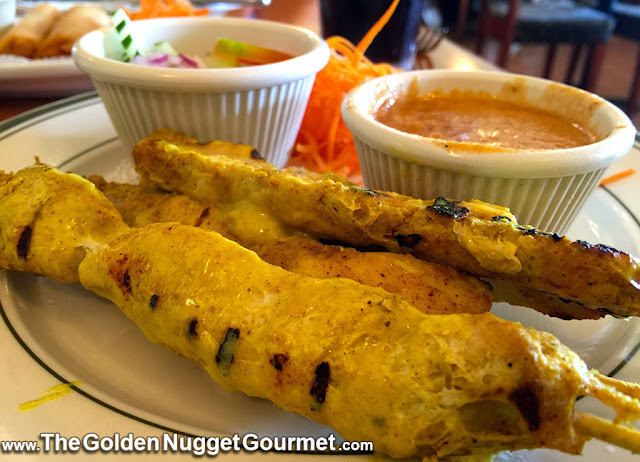 The cuisine that I absolutely miss the most from the Mill City is Cambodian. 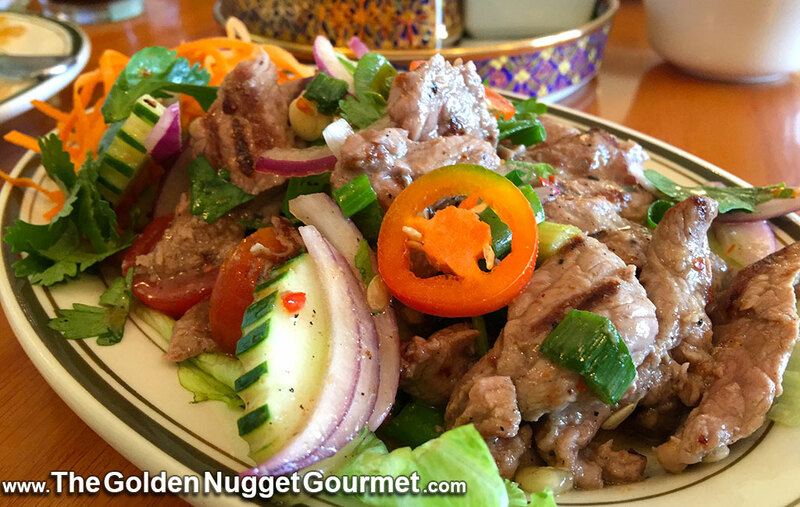 I am dying for a Khmer restaurant to open up in the DMV area! Amina's Pad Kee Mao was delicious and reminded me of all the Mee Ka Tang I used to order from Red Rose. 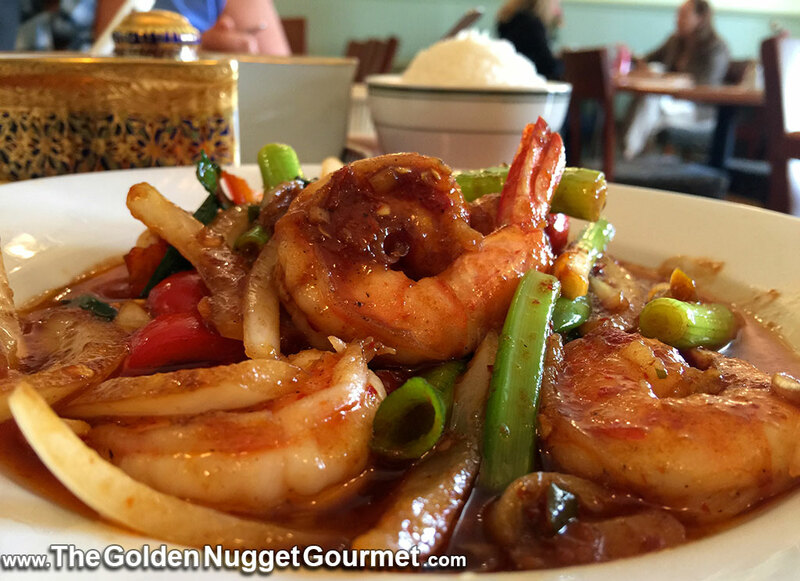 Shrimp Pho Taek( Shrimp sauteed with lemon grass, onions, scallions, bell peppers, celery and red chili paste). Medium Spice. 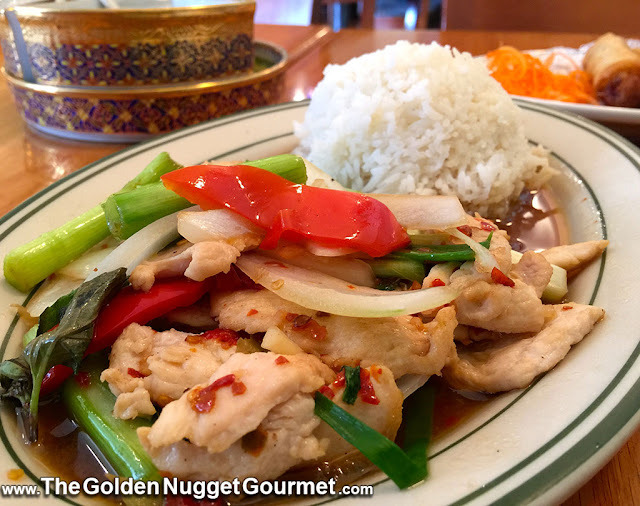 Pad Kaprow With Chicken (Sauteed with garlic, chili, onions, scallions, bell peppers, and basil leaves. Medium spice. 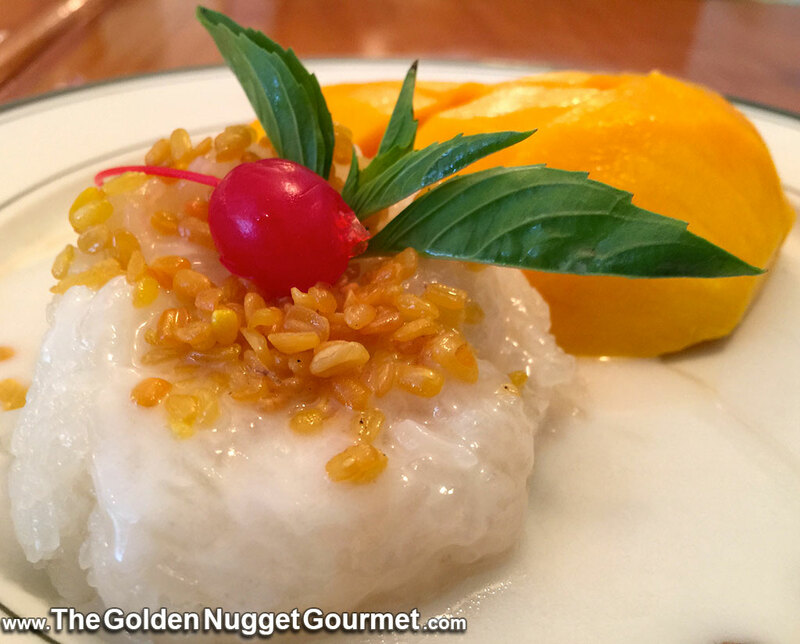 Don't leave without having the Mango Sticky rice, it's to die for! You can check out their full menu here. 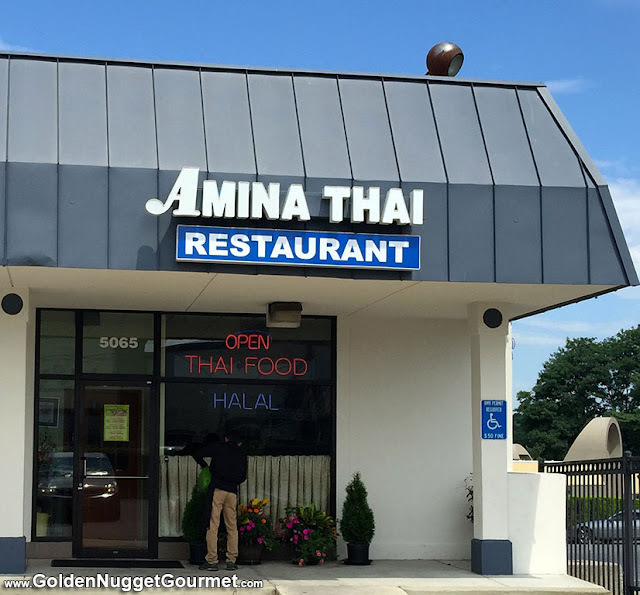 FYI- Amina is days away from opening a second restaurant at 8624 Colesville Rd in Downtown Silver Spring, MD. The restaurant is set up and ready to go and the doors will open as soon as she receives her food license. Looks like East MoCo is on the case and posted a few street photos of her progress.